Resources ~ Elan Creative Co. 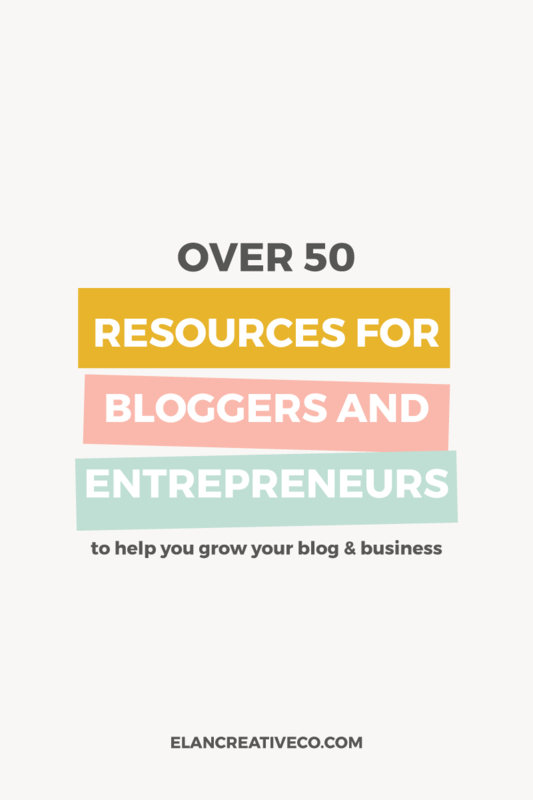 I am often asked about the products and services that I use to help run my blog and business so I put together this resource page. All these services have been tested and I highly recommend them. Some of them are affiliate links. That means I get a small commission if you decide to make a purchase using my affiliate link. However, I wouldn’t recommend them if I didn’t use them and find them helpful. My site is hosted on SiteGround and is running on WordPress and the Genesis framework. I’ve been using Siteground for my website for over two years and I’m very happy with their services. Your website will be fast, safe, and their customer service is amazing. If you’re ready to upgrade to managed hosting, Flywheel is the perfect host for your blog. And they take care of all the technical aspect of owning a blog so you don’t have to. Whether you have a blog or a business website, you need your own domain name. NameCheap is my favorite domain name provider and you can get affordable domain names and SSL certificates from them. All the graphics on my blog and social media were created using Adobe Photoshop and Illustrator. I also use them to create products for my shop and for my clients. This is my favorite place to find fonts, illustrations, and stock photos. You can also find gorgeous WordPress themes. Plus it’s a great place to start selling your own products. This is my favorite WordPress theme and it’s also what I use to build custom child themes for my clients. Skillshare is my favorite online course platform. It’s is a learning community with thousands of classes in design, business, technology and more. Most classes are short, so you can learn something new if you have a free hour or a weekend. If you use my referral link, you can get the first two months of Skillshare Premium for FREE. Treehouse is another online course platform that I love. It’s only $25/month (and they offer a 7-day free trial), but have amazing web design and development courses. You can also learn about SEO, Google Analytics, and online marketing. My favorite Treehouse track is the Web Design track. This is a great place to find images for your clients or for your own creative projects. Find great stock photos for your website and lovely vector illustrations.